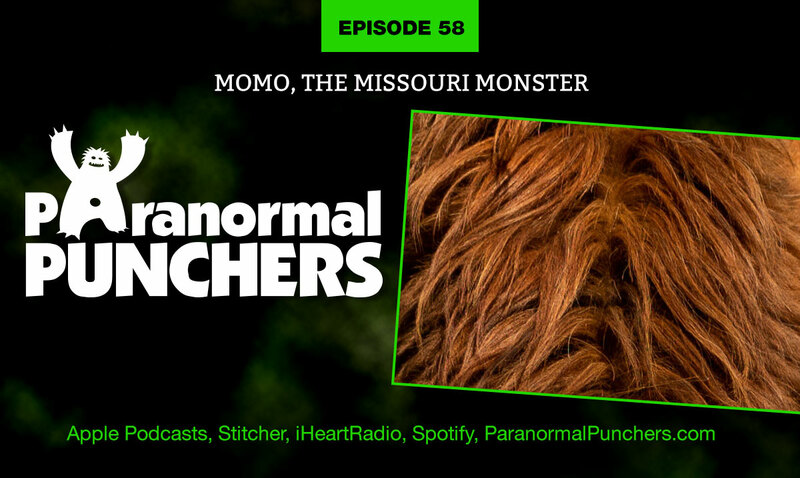 Momo, the Missouri Monster, is a large, 7 ft tall hairy bipedal creature similar to Bigfoot. He has a large, pumpkin-shaped head, with black hair covering most of his body, which resembles a shag carpet. He is said to have 3 fingers and toes, emits a terrible body odor, and has been known to be aggressive towards other animals. Although sightings of the Missouri Monster have occurred since the mid-1900’s, it wasn’t until July 1972, that he got a lot of attention. On July 11, 1972, 8 year-old Terry Harrison and his 5 year-old brother, Walley, witnessed a creature walk out of the woods of their property carrying a bloody dog it the crook of its arm. Over the next two weeks, people witnessed, heard and even smelled him near the town of Lousiana, Missouri. What is this smelly creature? Is he a cousin to Bigfoot or an entirely different species? Joins us on episode 58 to hear more on the Momo and of the events surrounding the 1972 sightings!